Has your company been down the values path before? Did you spend time and money creating the language, the posters and the desktop reminders, but somehow the culture never really changed enough to make a difference? Does it feel like every time you embark on a new program it is met with more and more scepticism? Tweaking your organization by playing with additives and compiling binders full of analysis will not create long-term, lasting change. In order to successfully drive your cultural journey you need a complete fuel analysis including blueprints, with detailed instructions on how to get from where you are to where you want to be. Carol Ring works with organizations like yours to help you move away from negative values like bureaucracy, information hoarding and cost cutting into a more positive and energized workforce that fuels your bottom line results. Using our signature 6 – Step IGNITE process we’ll take you from discovery to action. By aligning your strategy with your culture, you’ll have your organization firing on all cylinders. Carol’s customized Corporate Culture Connection program integrates the Cultural Transformation Tools (CTT) based on the Barrett Values model. These assessment tools help identify what’s standing in the way of your organization’s success. The CTT is one of the most detailed and comprehensive cultural diagnostics and values assessment instruments commercially available. CTT surveys provide the input you need to plan and manage your change initiatives, your cultural transformation programmes, your diversity interventions, your talent management and leadership development initiatives, and your customer feedback. They make the intangibles tangible and provide lead indicators for measuring individual and collective performance. 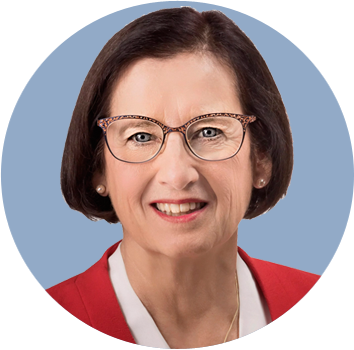 Carol utilizes the results from these assessments and coaches your organization’s leadership team to build a three year blueprint of actionable steps that improve your culture and link it to your strategic plans. Don’t let culture eat your strategy any more, invest in your corporate cultural capital and launch your organization forward! Imagine being able to get a comprehensive diagnostic of the culture of your organisation by asking just three simple questions. Furthermore, imagine getting the same detailed report for any demographic grouping you care to list. 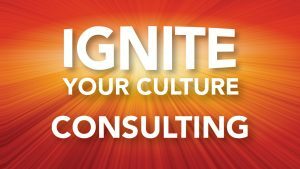 That is exactly what our flagship cultural values assessment, used by over 2,000 organizations, enables you to do. The CVA provides you with detailed understanding of the personal motivations of employees, their experience within your organization, and the direction the organization should be heading. CVA results can generate deep, meaningful conversations about the purpose, priorities and strategy of the organization and the well-being of all stakeholders. The CVA provides a road map for achieving high performance, full-spectrum resilience and sustainability. Leaders only grow and develop when they get regular feedback. Do you know what others appreciate about you? Do you know what advice your boss, peers and subordinates can offer you to improve your leadership style? Do you know how you are contributing to the cultural entropy of the organization? Do you know your level of personal entropy? The answers to all these questions are provided by this flagship coaching tool, the Leadership Values Assessment. The LVA deepens your understanding of what you need to do to become an authentic, ‘Full Spectrum’ leader. The LVA measures personal entropy and how you are contributing to the Cultural Entropy of the organisation. Contact Carol today to see how she can help you build a corporate culture that fuels results!